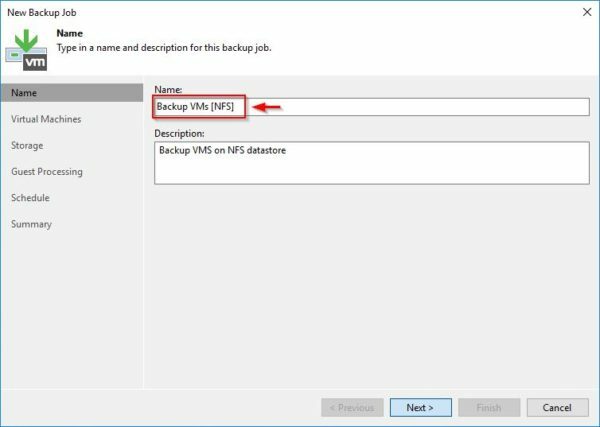 The Direct NFS access mode is a feature available in Veeam Backup & Replication used to backup VM disks located on NFS datastores. 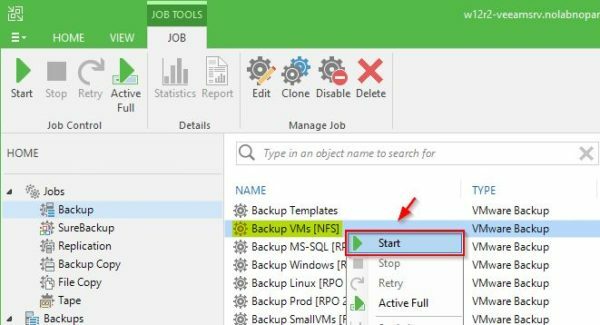 In addition to Direct Storage Access, Virtual Appliance (hot-add) and Network (NBD) transport modes, Veeam provides also the Direct NFS access mode to optimize the backup using a proprietary NFS client deployed on Veeam Backup Proxy and used as transport mode. 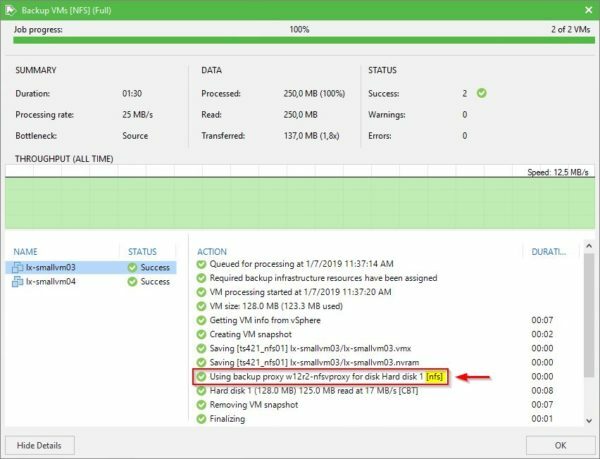 Compared to Network mode, this solution provides a more efficient way to process VM data since VMware VDDK is not used to communicate with the ESXi host (no additional load) and data are read and written directly from/to NFS datastores. 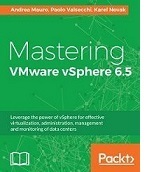 It must have access to the NFS datastore. It must have Read Only/Write permissions and root access to the NFS datastore. 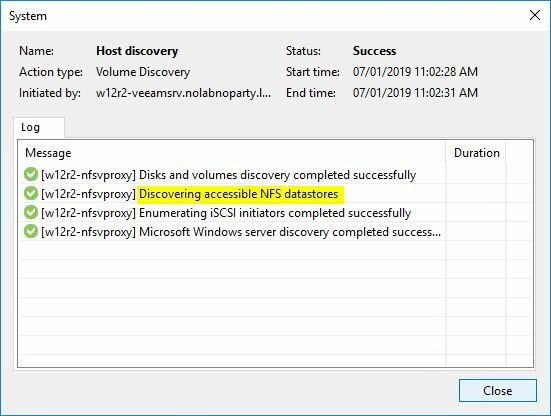 If the ESXi host has NFS volumes mounted under names instead of IP addresses, the volume names must be resolved by DNS from the Veeam Backup Proxy. 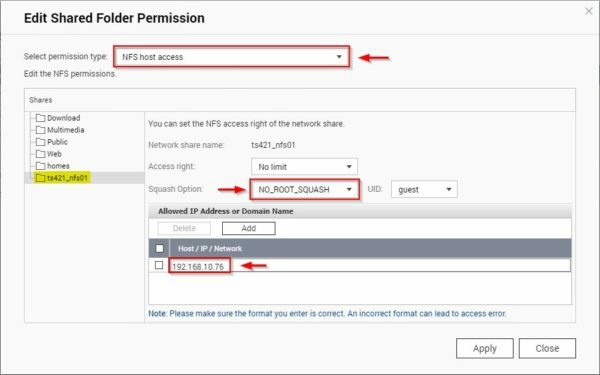 If a VM has at least one snapshot, the Direct NFS access mode cannot be used. 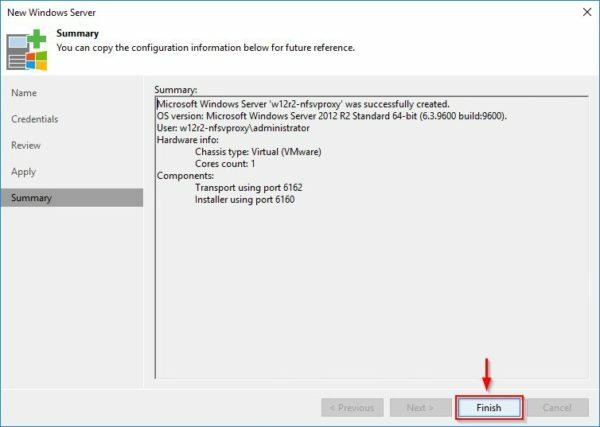 The Direct NFS access mode is used to read/write VM data during the first session of the replication job only. 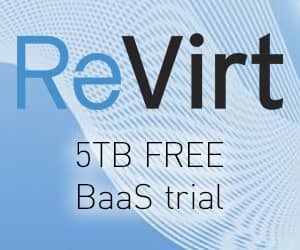 During next replication, data are read using Direct NFS but they will be written using another transport mode since the VM replicated has already an existing snapshot. 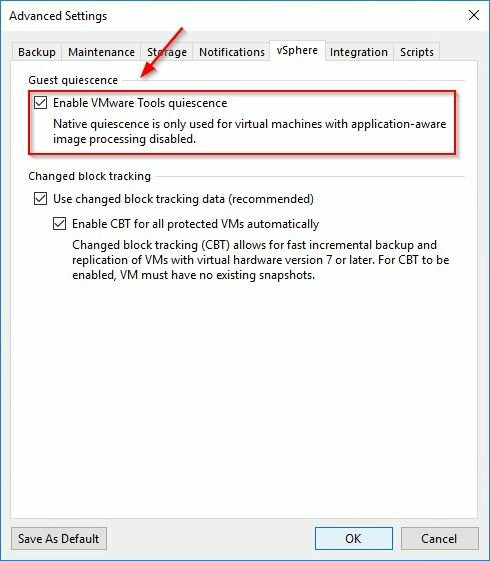 If the option Enable VMware Tools quiescence is enabled, Windows-based virtual machines with VMware Tools installed won't be processed using the Direct NFS access mode. 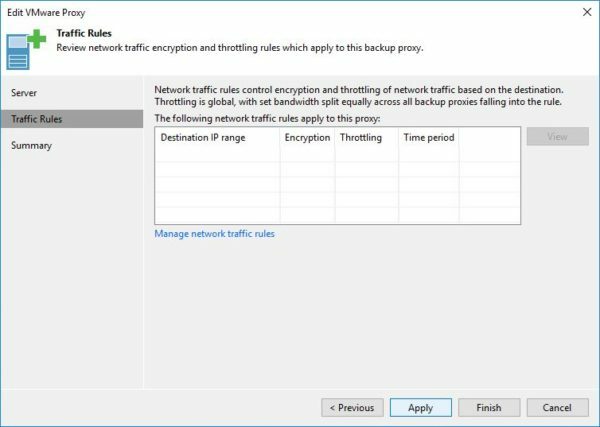 If Direct NFS access mode can't process some disks of a virtual machine, the Network transport mode will be used instead. 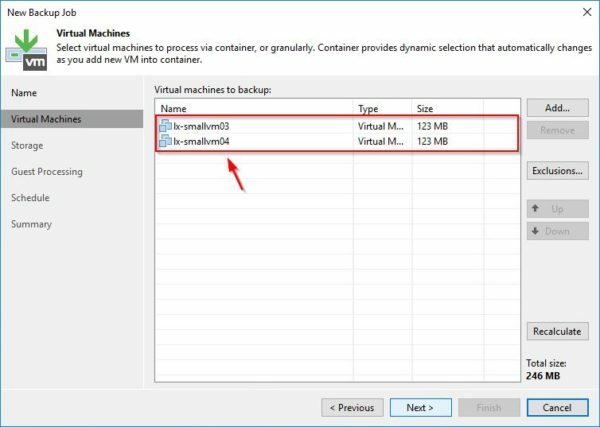 To backup VMs running on NFS datastores using Direct NFS access mode, we need to edit an existing Backup Proxy or create a new one. 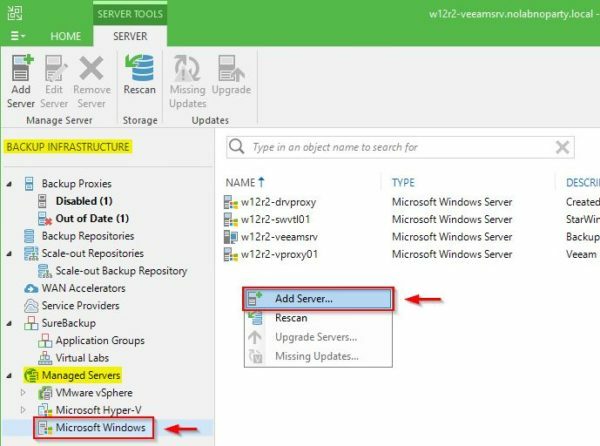 In this example a new Veeam Backup Proxy is created. 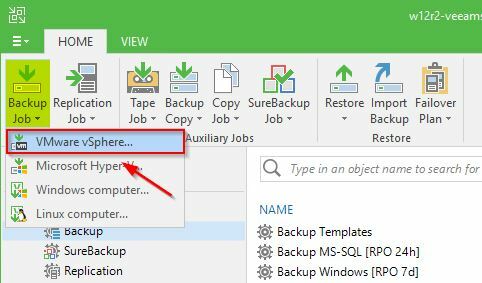 From Veeam Backup & Replication, go to Backup Infrastructure area and select Managed Servers > Microsoft Windows. In the right pane right click anywhere and select Add Server option. 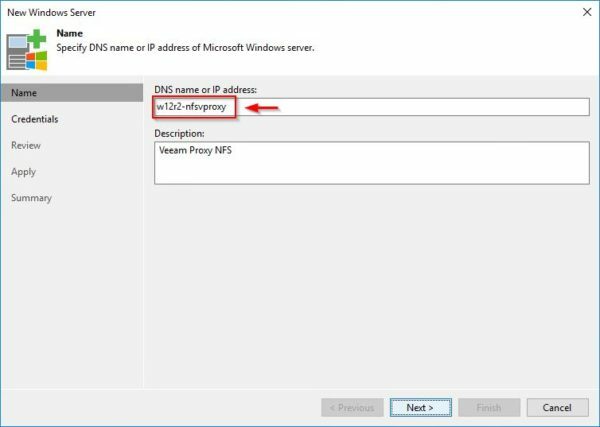 Enter the DNS name or IP Address of the server to use as Backup Proxy then click Next. 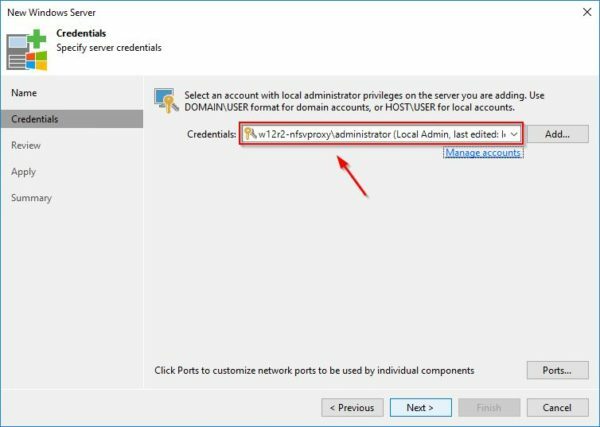 Specify the credentials to use using the format domain/user or host/user then click Next. 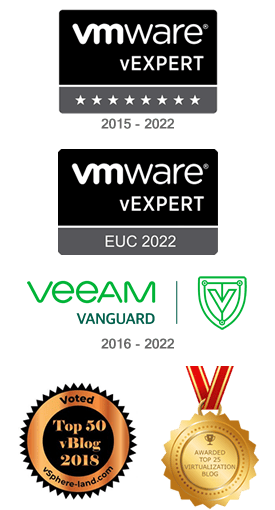 Click Apply to install the Veeam Transport package. When the package has been deployed successfully, click Next. 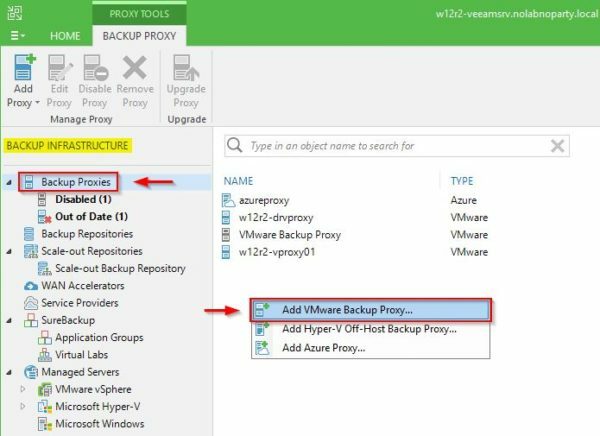 Now go to Backup Proxies section, right click anywhere in the right pane and select Add VMware Backup Proxy option. 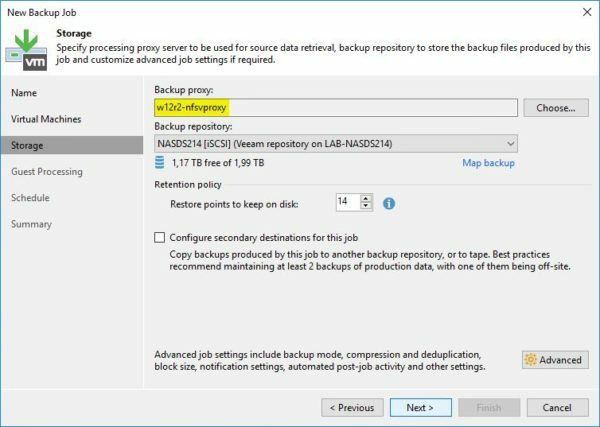 Select the server to configure as Backup Proxy then click on Choose to specify the Transport mode. Direct NFS access mode can be used by choosing Automatic selection (selected by default) or Direct storage access options. 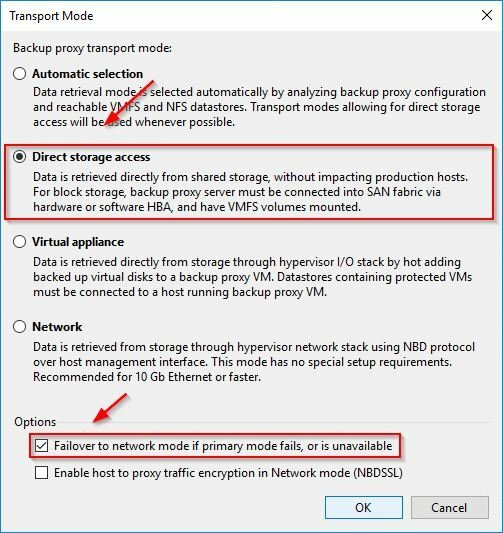 Select Direct storage access and leave Failover to network mode if primary mode fails, or is unavailable option enabled to avoid a backup job failure if the Direct NFS access mode is not able to process the specified VMs. Click OK. 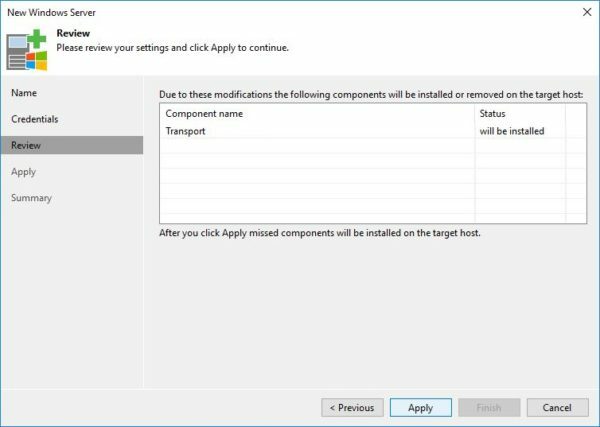 When the Transport mode has been configured, click Next to continue. If no additional parameters need to be specified, click Apply. 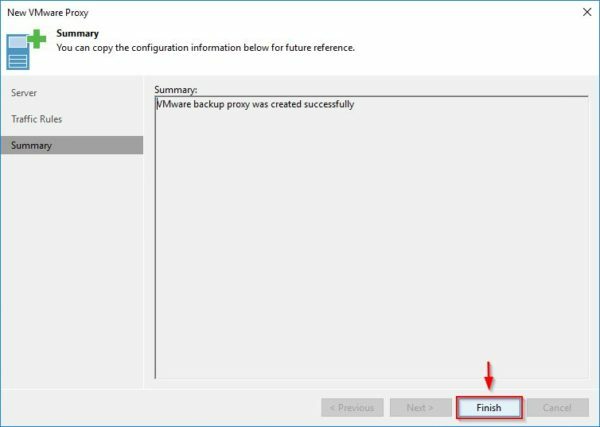 The new Veeam Backup Proxy has been created successfully. 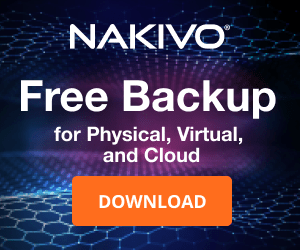 Access the Storage's Control Panel (QNAP in this example) to configure the correct permissions. 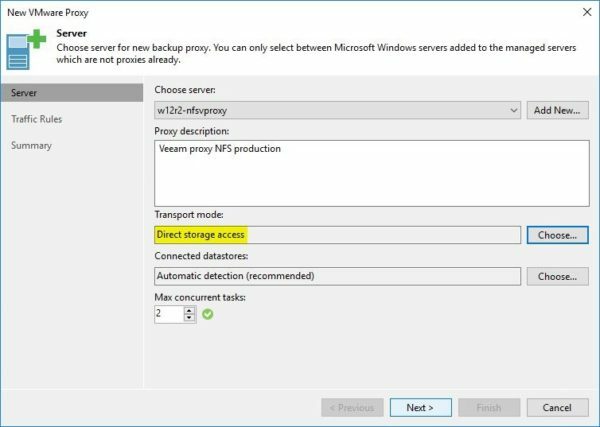 Make sure the Veeam Backup Proxy has read/write permissions to the share and the NO_ROOT_SQUASH must be set in the Squash Option field. 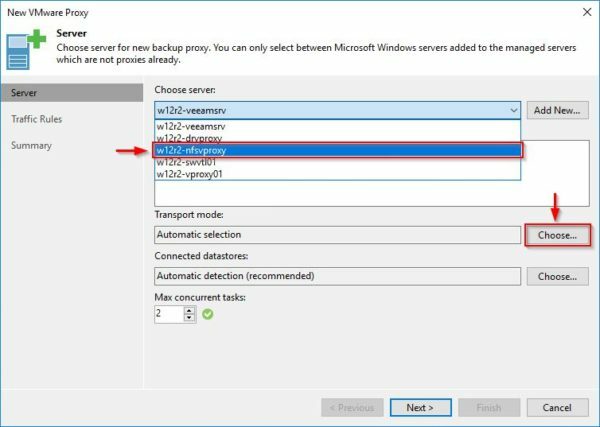 Also the IP address of the used Veeam Backup Proxy must be specified to allow the correct access. 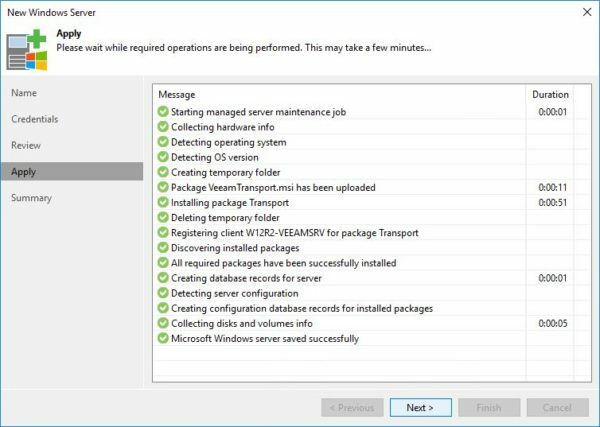 Now from Veeam Backup & Replication console, go to Backup Infrastructure area and select Managed Servers > Microsoft Windows. 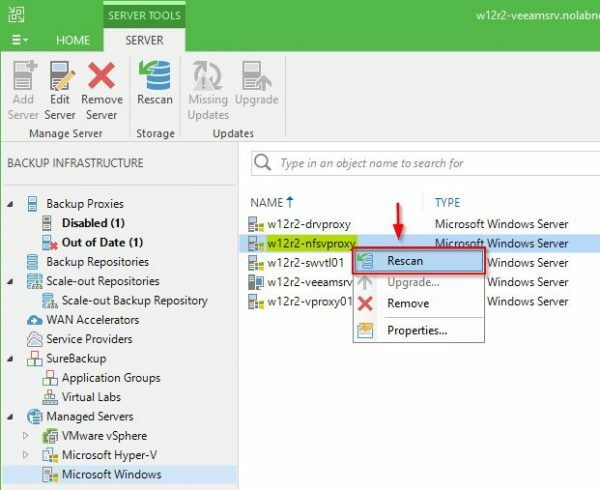 Right click the previously created Veeam Proxy and select Rescan. When the process has completed click Close. 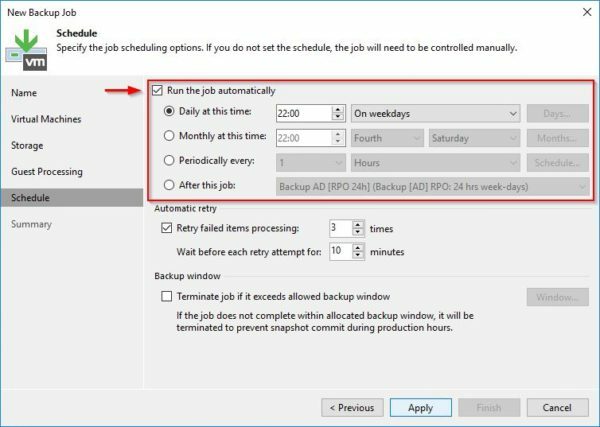 In Home area, select Backup section and from the Backup Job drop-down menu select VMware vSphere option. Specify a job Name and optionally a Description. Click Next. 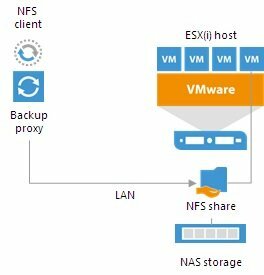 Select VMs to backup located on a NFS datastore then click Next. 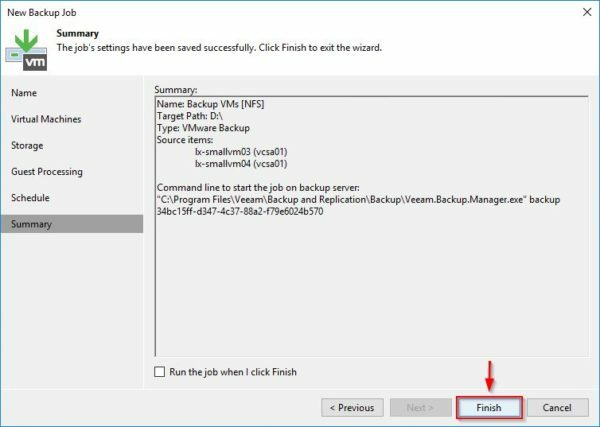 Click Choose to specify the Veeam Backup Proxy to use. 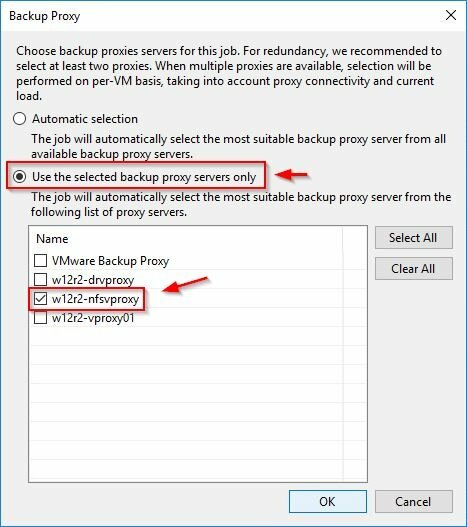 Select Use the selected backup proxy servers only option and specify the Veeam Backup Proxy previously configured. Click OK to confirm. If required, enable these options accordingly then click Next. Specify a Schedule then click Apply. 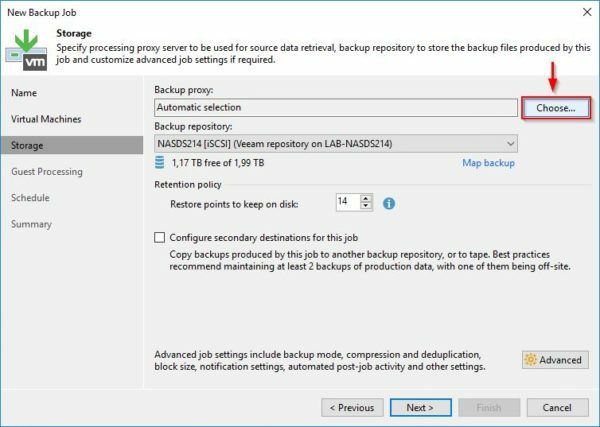 Right click the just created backup job and select Start. The backup is processed and executed using of the Direct NFS access mode. 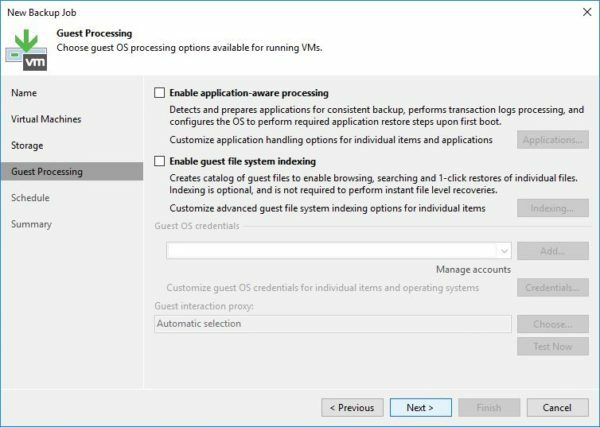 Using the Direct NFS access mode the backup is optimized and processed with no additional load on the ESXi host improving the performance.